← An Amazing Road with Plenty of Adventure. 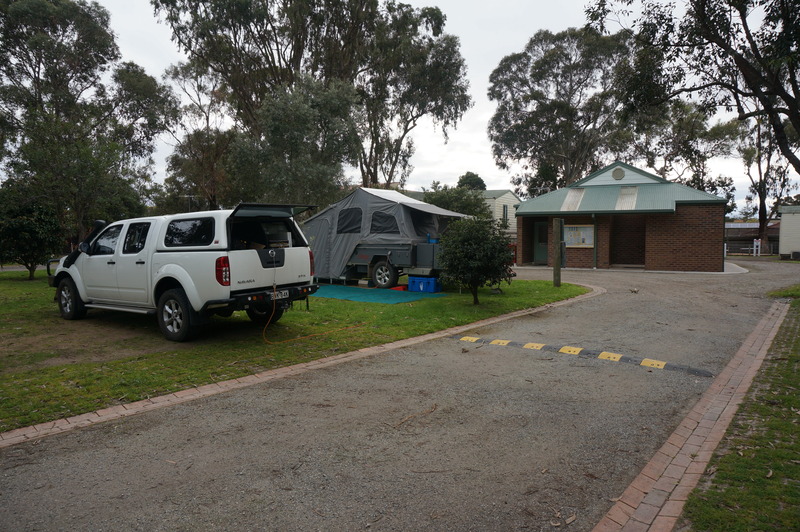 On the morning of Tuesday 30th August we took the ferry from Queenscliff to Sorrento with the car and trailer. The weather was cloudy but the sea was calm, so it gave us a good crossing. This allowed us the opportunity to relax and enjoy the trip rather than driving all the way around and through Melbourne and it was something different to do. 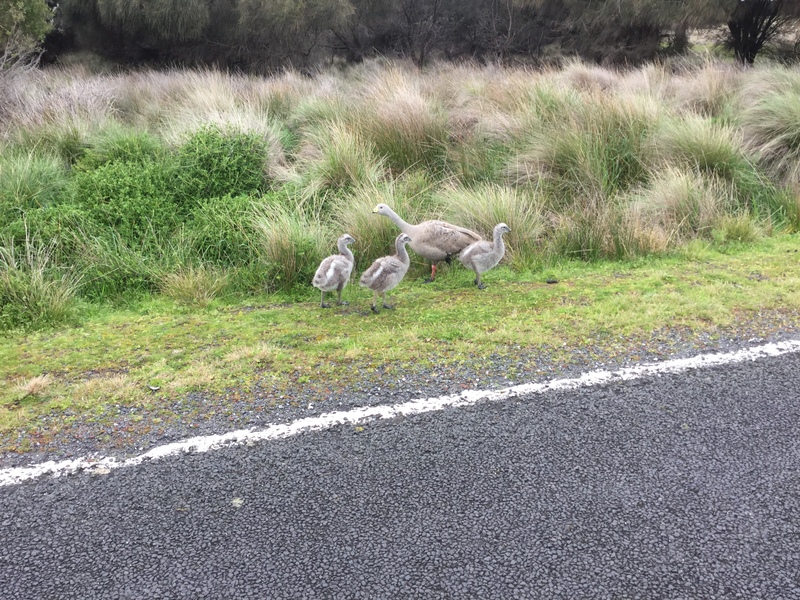 We then drove through some beautiful countryside arriving on Phillip Island in time for lunch which was fish and chips in Cowes down on the Esplanade, it wasn’t the best, the one we were told about was closed. A lot of shops in Cowes were closed on Tuesday and Wednesday so we found as we walked our lunch off on a trek around the streets checking out the shops. Anchor Belle Caravan Park was where we were staying for the next four nights, 4 nights for the price of three. Very quiet at this time of year, just us most of the time so we didn’t have to line up for the laundry or showers at all, actually our site was directly opposite the ammenities and once again we made good use of the camp kitchen. One thing I have discovered in Victoria is that the mozzies are huge, just saying, also they are slow movers and left me alone which is most unusual. Murray has been to Phillip Island three times before this but this is the first time he has seen another side to the Island other than racing. A trip out to the track in the early freshness of the day and we found out there was a tour but not till the afternoon at 2pm. 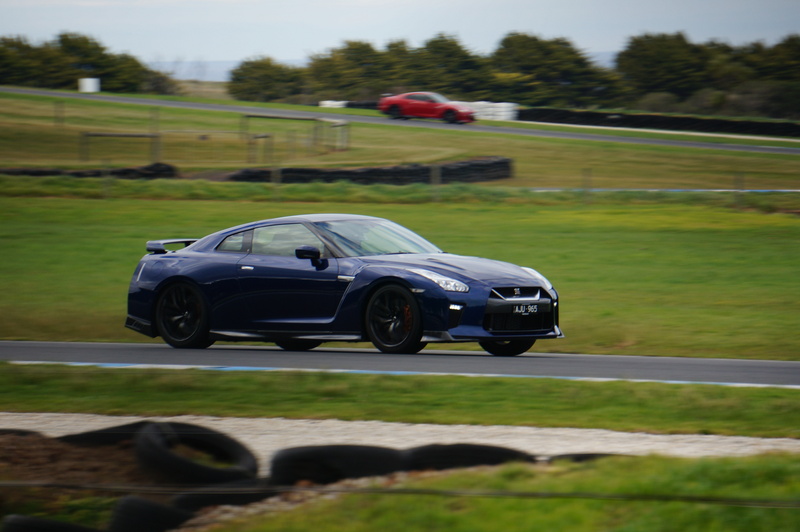 Simon had messaged Murray though to let him know that Nissan were testing the new Skyline GTRs that week at the track so we hung around the fence and got some Secret Squirrel photos as the cars and drivers did their thing out on the track. In the meantime we took a walk on the wild side and took in the boardwalks at Nobbies where the seals and penguins can be sighted going about their daily stuff. On this day no seals but we might have seen a penguin hiding, have to come back to that one and check it out again. In the meantime back to town for a haircut for me and lunch at the caravan park by me, salad is so hard to make. Cape Baron geese with their young at the Nobbies. In the afternoon, 2pm, we returned to the track to do our tour with Hayely. This took in everything from the museum, the pits to the marshalls room, tower, timing , stewards room, media, hot lap car garage to the the winners podium. We saw all the new Nissans and got the Birdseye view of Bass Strait and the track. Lindsay Fox is now the owner of Phillip Island Motorsport complex and is a passionate supporter of Motorsport within Australia and a collector. This facility on a whole was absolutely brilliant. Do yourself a favour and take a look. The tour goes for one hour but Hayley walked us around for just over two. Excellent day. The next morning we got up and headed out to do some more touristing. First up was the Bass Dairy Farm. Mmmmm, my kind of place, we enjoyed the tastings and a cuppa and headed to San Remo for the midday pelican feeding down at the wharf, then a walk through the town, a look through Pannys chocolate factory in Cowes and back home to the caravan park for lunch. We headed back down to the Penguin Display to check out the times for the evening pilgrimage but decided not to go as you’re not allowed to take photos while there, we went back to Nobbies, still no seals to see but we did find the Penguins hidden under the boardwalks where we thought they were the day before, a coastal drive across a dirt road full of wildlife then home to rest. Something had upset my stomach so I needed a break, we had a very quiet night in. Friday we got the washing up to date, walked around a bit and enjoyed a quiet day resting up for the next leg of the trip. We went out to dinner, which is something rare, and enjoyed the hospitality of the Rusty Water Brewery. Murray tried a couple of their brews Koala Pale Ale and Dark Malt Burnt Toffee Ale, I tried the local Purple Hen Chardonnay. Our meals were fantastic and Murray even enjoyed a huge sundae for dessert, satisfied and full we headed home to sleep, our time here complete. Tomorrow was another day and the beginning of our trip home and that folks….is another story, of course. 1 Response to Checking Out the Island.